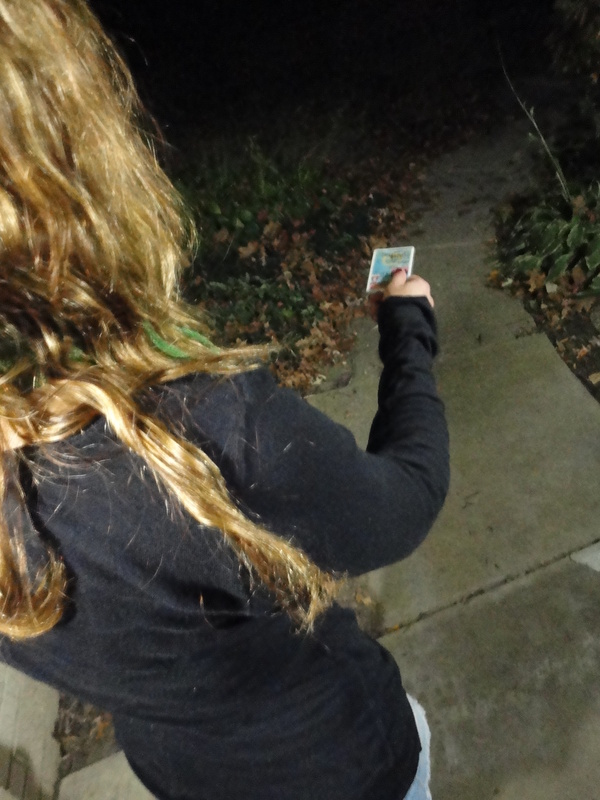 Fake ID Use in Iowa City: On The Rise? It is 11:32 p.m. on a Saturday on the pedmall and a University of Iowa student stands in line at Brothers bar using an ID he bought from another student. The student, who ventured downtown with other students under 21 years old, isn’t an anomaly. He is one of several UI students who has purchased a fake ID. The sophomore uses his fake ID whenever he goes to the bars in Iowa City or when he wants to buy alcohol at liquor stores. “The only time I don’t use my [fake ID] is when there are cops near me,” said the 6 foot 3 inch student, who said fake ID use was on the rise. He cited the 21 ordinance as the cause. The 21 ordinance, enacted on June 1, 2010, denies people under the legal drinking age of 21 from being in bars in Iowa City after 10 p.m. While many students said they have noticed more people using fake IDs, Iowa City Police said they have seen a decrease in the use of fake IDs. Police documents support this. Records indicate only slight fluctuations in fake ID charges, but it is roughly the same from September 2008 to September 2010. University of Iowa police records reflect the same findings. Local business owners also have not noticed any significant increases in fake ID use. Doug Alberhasky, manager of John’s grocery, said he has seen a decline in the number of fake IDs. John’s grocery employees check the IDs of anyone who look under 30 years old. They use a card reader to test for authenticity. As he stood inside Brothers Bar, the University of Iowa student said he would not attempt to use his fake ID at John’s Grocery. Several students said fake ID use could be down because of the increase in house parties. Sophomore Niusha Tavakoli said students are more likely to be at house parties than attempting to use a fake ID in a downtown bar. Since the penalty for being in a bar underage is so high, most people aren’t risking it, she said. If the 21 ordinance were to be reversed, Tavakoli said she would go downtown even though she is not yet 21 years old. “I’d be more willing to take the chance,” said the 19-year-old. One UI student who sells fake IDs said he saw a slight rise in sales but nothing significant. Since the 21 ordinance took effect, the student-who wished to remain anonymous because of legal ramifications-said he saw a spike in sales during the first few weeks of class but those are always his busiest weeks. That’s when new freshman come into town. Possession of a fictitious ID carries one of the toughest penalties associated with trying to get into a bar. According to Iowa City lawyer Mark Thompson, the penalty can be up to one year in jail and a fine up to $1,875. Fictitious IDs are ordered via the internet and not manufactured by an appropriate state authority. Mere possession of this type of ID is a crime. Possession of a fake ID, however, is not the only crime of which a person can be accused. Misuse of a Driver’s License is also very common. It occurs when a person uses another person’s ID in any fashion, representing it as their own. Iowa City Police say this is a common charge for people who participate in bar crawls. Thompson said it is only illegal to use someone else’s ID, not to possess it. Conviction of this crime includes a small fine and no jail time. A third crime associated with attempting to purchase alcohol underage is Misuse of a Driver’s License for the Purpose of Obtaining Alcohol. Similar to the initial Misuse of a Driver’s License, this crime would include a small fine and no jail time. The offender’s license, however, could be suspended for up to 7 months. A University of Iowa freshman, who also chose to remain anonymous, said he uses his older brother’s old ID. In fact, most of the freshman I talked to either didn’t have a fake ID or used someone’s ID who they knew. While many people do opt for using a friend or family member’s IDs, others still pay a small fee for a fake one. The UI student who sells IDs also produces them. He said people give him $60 before he takes their pictures. Then the customers sign their autograph on a piece of paper. Next, they put the picture and signature into a computer program. On that platform, they match the graphics and holograms from an actual state ID. After this process is complete, they send the information to a company who prints it off and sends it back. Two weeks later, they have their fake IDs. “It is a fairly simple process and has gotten a lot easier over the years,” said the UI student. Other people who sell fake IDs may do it differently, but according to the student, this is the most modern method. The anonymous student said he didn’t think the upcoming vote on the 21 ordinance would greatly affect the sale of fake IDs. For more information visit Fake ID Q&A with UI Student, Iowa City Bar Crawls, or go back to the package’s main page.